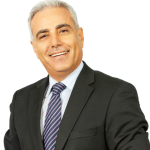 Michael Yacoub CBC BA MBA, is the President & Director of the Foretune Group and CEO of Advantex Consulting. Michael is a strategic business consultant, author and public speaker with over 25 years’ experience in business development, strategic leadership and turn-key business operations. 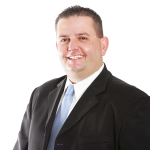 Michael has built several multi-million dollar businesses including wholesale, retail, property development, manufacturing, investor alliance group, business-to-business corporate sales and call centres. Scott is a Director at Foretune Group and delivers a business focussed approach to golf activities. Foretune has thrown out the old corporate golf concept and replaced it with an exciting new, high-quality Business Golfing experience. Scott founded the Foretune Group out of an identified need for business mentorship, social networks, support and building meaningful business connections, particularly for interstate people who had moved to the Gold Coast to start up a business. Through a member based business golf network and the delivery of professional business golf experiences for organisations, Foretune will stamp it’s mark on the business and golfing industry on the Gold Coast and beyond. Oliver Barany heads FORETUNE’s Digital Marketing department. Oliver Says” Technology and online marketing is moving forward at a rapid pace, business owners that do not adapt to the ever-changing technological landscape will either lose to their competitors or worse yet, become obsolete”. 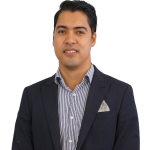 Oliver has more 15 years’ experience in the digital space and in this time has witnessed change after change. His goal is to create strategic online presence for the FORETUNE Group so as to add tangible value to all members with maximum exposure.